I’ve had a hit and miss time with London’s jazz clubs. 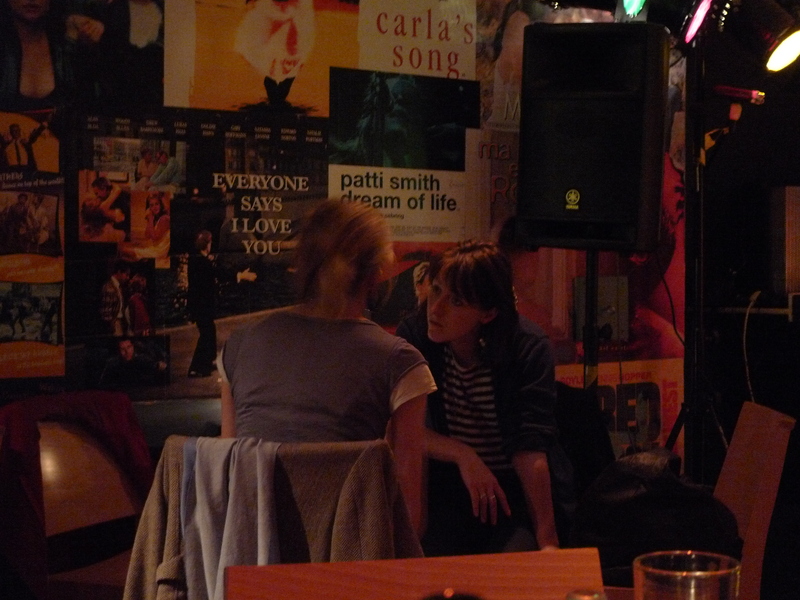 I first went to Ronnie Scott’s in Soho a “few” years ago for a friend’s 21st. We were 15 students who loved Jools Holland and thought ourselves fairly well-educated and open-minded music wise. As the first person turned up and loudly wished the birthday boy happy birthday, we were massively shooshed by EVERYONE. 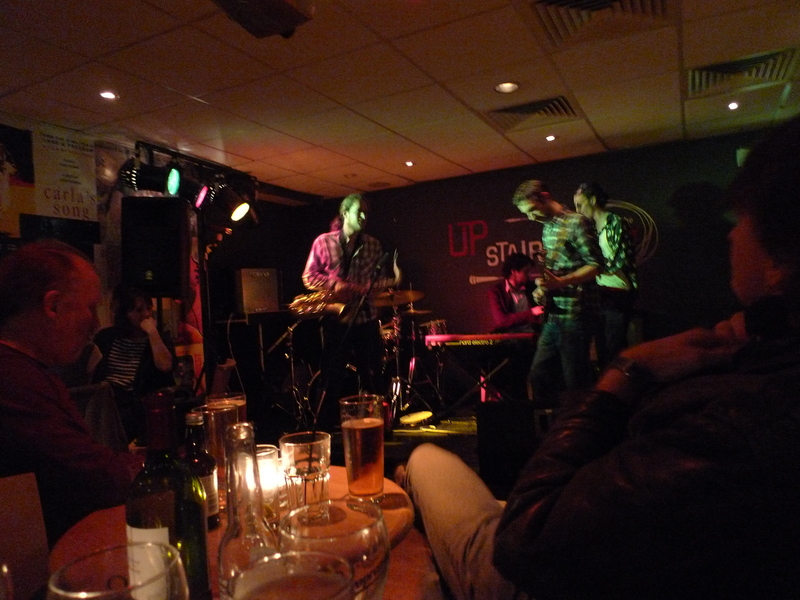 And there began the most painstaking jazz experience of my life- as 13 other progressively more drunk students turned up, we were shoosed, given dirty looks and tutted at. We were near the front and rounded upon by all sides. Every round was a nightmare. Any conversations had to take place in whispers. It was very Fast Show Jaaaazzzzzz with some jazz flotist, a West African band and an arty singer. All appreciated quietly by nodding patrons, but I couldn’t wait until the bits between songs so I could chat and relax (note: this was probably a bad experience and made worse with memory. I have heard great things about Ronnie Scott’s since). I’m not a fan of music that you have to listen to quietly. I’m all for whooping when a “tune” kicks in, for dancing madly and laughing. And even when its slow and moving and beautiful, I like to be able to chat to whoever I’m with about how much I’m enjoying it. That’s why I found the Proms horribly staid and why I think jazz clubs and classical music should allow for some appreciation to be shown at the time. Thats not to say I don’t enjoy opera and classical music, I just find it hard to save my excitement for a post-song bravo. Next was Camden’s Jazz Cafe – a cool intimate venue with a fun, funky crowd, some great acts (I’ve seen Amos Lee and Roots Manuva there) and good value for money. You can eat, drink, whoop, dance and holler to your heart’s content. And I loved listening to The Jazz in Paris Project upstairs at the Brasserie Toulouse Lautrec in Kennington, which combines jazz, champers and French food really well. I’ve been to the Dalston Jazz Bar but I don’t recall it playing any jazz and all I remember is how drunk everyone was, and after slowly spilling an entire glass of red wine down my arm, that I was too. 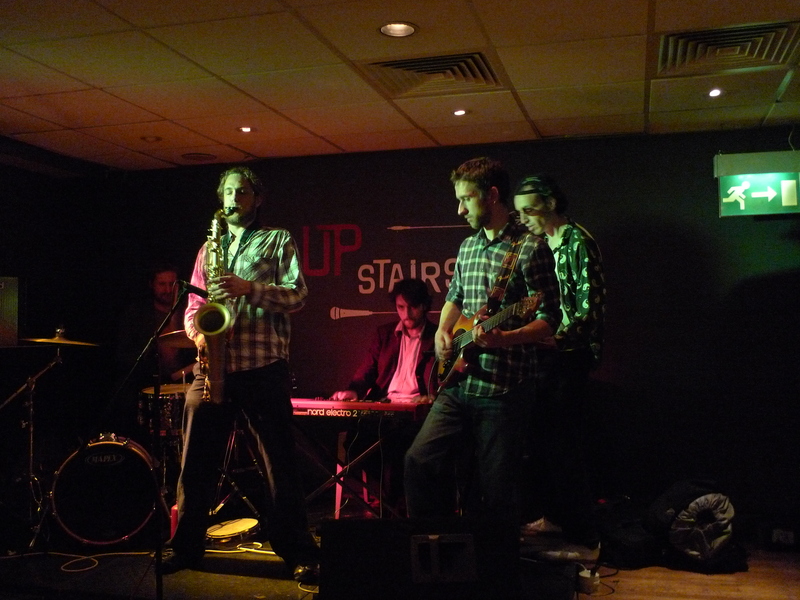 And finally, I stumbled upon a fantastic jazz band in the Upstairs bar of the Ritzy cinema in Brixton (see photos above and below). Upstairs has transformed itself into a cool little venue for comedy and music, with classic film posters, decent beer and an interesting crowd. It was free to go in too. They also had a fantastic band on – jazz in a cool Corduroy-type funky way and they asked everyone to get up and dance and so they did – all smiles and funky moves. As the smoking ban has ended the days of smoky jazz bars, this is the kind of place I want to listen to jazz in – somewhere relaxed and fun and friendly. Check out their Facebook page for upcoming events. Wow – what an incredible surprise! 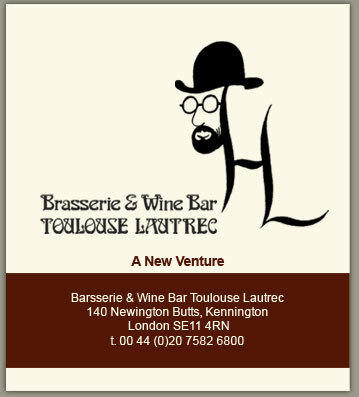 Just down the Kennington Road, between estates and the south circular, is this fabulous little French bistro and jazz club, Toulouse Lautrec. Run by Nolan and Florent, the sons of the owners of the next-door Lobster Pot, it has an upstairs wine bar and jazz club with regular live music events, a downstairs French brasserie, and a basement “cave” that you can hire out for private dinners. El G came across it online and booked it for a celebratory christmas dinner – I couldn’t believe it when we stepped off the street and into this rustic, cosy bistro. We started upstairs in the wine/jazz bar listening to The Jazz in Paris Project which took me back to a smokey Parisian jazz club – with classics like My Funny Valentine, Sweet Dreams and French cafe songs (excited to see they do my favourite Edith Piaf song La Vie En Rose), as well as some jazzed-up Christmas songs. Being a French place, they have a fantastic wine list with a glass of house champagne at £8.50; some delicious, great value wines like the Malbec we ordered at £19.50; and and uber posh wines “For the Wealthy Punters” . 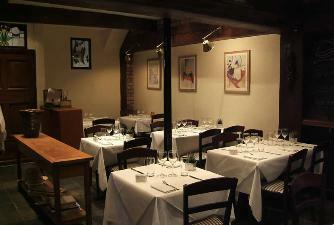 We ordered food upstairs – the menu was typically French – rich and tasty. El G had snails from Burgundy in garlic butter to start – they were juicy, succulent and salty – yum. I had a tasty goats cheese and mixed leaf salad. For mains, I had the confit duck with flageolots beans and red wine sauce which was rich and tasty, my only criticism being the skin could have been a tiny bit crispier – I’ve had it in France where underneath the blackened crispy skin the duck falls off the bone and melts in your mouth. El G had the pan-fried breast of pheasant with fondant potatoes, lardons and chestnuts with a truffle sauce – plump, rich and gamey. The food seemed typical of Southern French cooking – I’ve had similar on holiday in the Dordogne – rich, tasty, and quite heavy – with the food and red wine I couldn’t manage anything more which was a shame as I was dying to try the cheese. We ended up back upstairs listening again to The Jazz in Paris Project for some digestifs (I ordered El G a double Jagermeister by mistake, think the excitment, champers and wine had got to me, oups) – and also checked out the outside smoking terrace – for research purposes, obv. 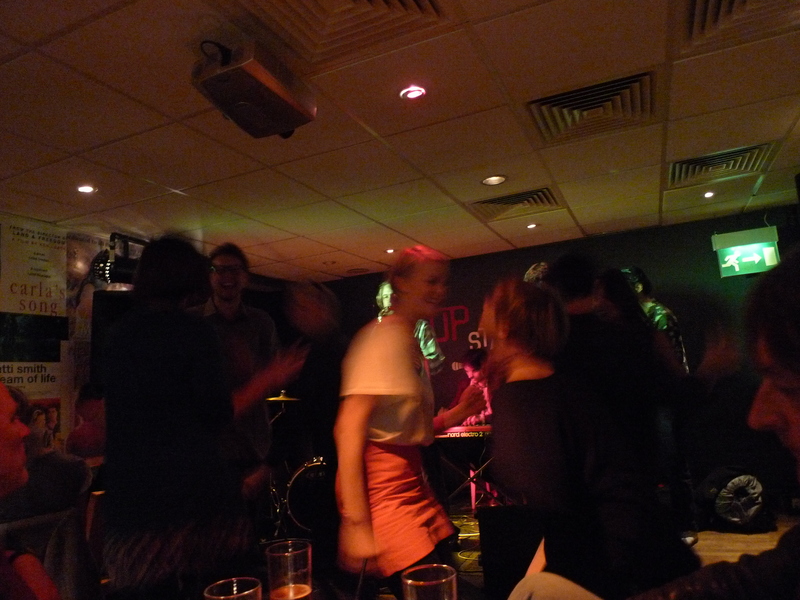 The waiting staff, manager and bar staff were all lovely and friendly – happy for us to go upstairs when we wanted, moving tables so we could see the music, and all seemed to enjoy being there. I would love to go back with friends (Niki you would LOVE it! ), or with my mum next time she visits, and make a full night of it. Toptable is doing a great offer there with 30% off food until 24 December – I’d really recommend you go, if only to have a glass of champers upstairs to listen to the music!